1. Ship me your perfect jacket. Denim, leather, distressed or dark...the style options are endless! Find your ideal jacket and send it my way! 2. I work my magic. We'll go over to the finest detail what you want your jacket to look like, and once I have get a feel for the vibe you are looking for, I'll design and create! 3. You get a shipment notification & stalk your mailbox. It's that simple! My turn around time is about 3 weeks, but don't worry, it's worth the anticipation! 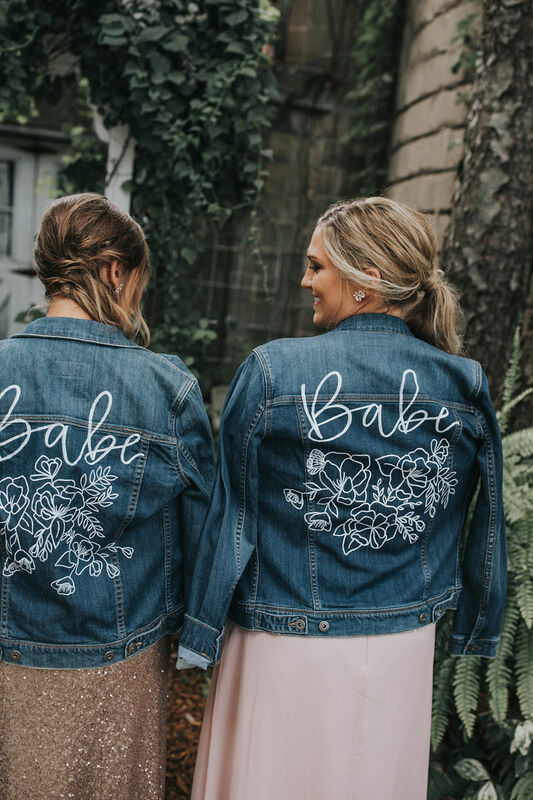 Although I love the fact that these bridal jackets are such a unique fashion statement that bring a little more personality to your wedding day, that's not even my favorite part. 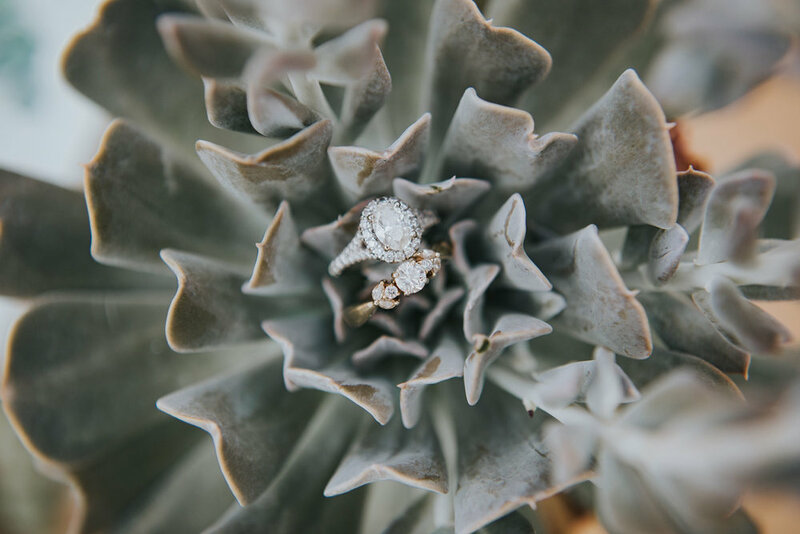 These babies have been worn to engagement shoots, boudoir shoots, bridal showers, bachelorette parties, honeymoons around the globe, AND (best part) SO. many. weddings! I LOVE the design process, and I love putting paint to jacket. 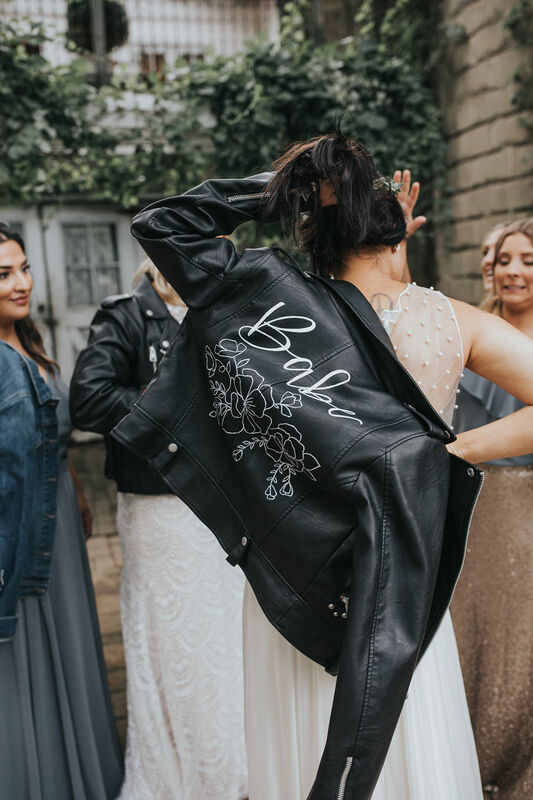 What I love the most though, is imagining each jacket being pulled out from the back of a closet in a few years, maybe for an anniversary or special date night...and instantly bringing that bride back to this sweet season in life of getting ready to marry her best friend. WHAT IS BETTER THAN THAT?! I only open a handful of jacket order slots each month. (This way, I can put more time and love into each one!!) Slots go FAST, so if you want to get a “heads-up” email about when to order, sign up here. I NEED TO BE IN THE KNOW! Yay! You’re on the list and will always get a heads up when order slots are available :) Thanks so much!! When you support KRD, you're getting a product poured over with hard work and love, but more importantly, you're allowing my family and I an intentional lifestyle with more freedom and time together. The goal of starting this design company was not to build an empire, but to build a life. The chance to be present with my fam, along with having an outlet to create and design something truly unique is a dream. come. true. Words won't ever be enough to thank you all.